i just came from Greece I'm looking for a team so i can play soccer. i was playing for my home town soccer team and after 8 years, I've been asked from Panionios F.C U21 Greek Super League to do i try out. But i had to move with my family in Australia and I'm trying to get in to a soccer team. 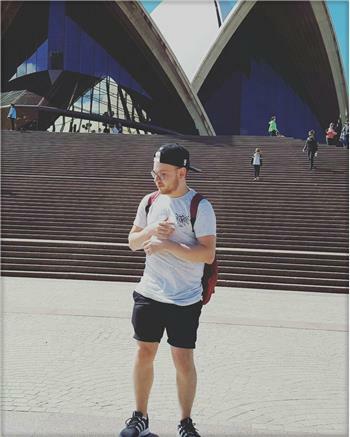 I'm 24 years old and recently moved to Sydney from London, UK. I've played football (soccer) all my life and now looking for a decent standard team to play for either in the evening on weekdays or at the weekend. My usual position is Central Defensive Midfield, although have played further up the field before, including as a Striker. Can play around Sydney but ideally within easy commuting distance from Potts Point. I would like to enhance my football skills. Hi, I am 19 years old and from germany. I will stay in Sydney for arround 8-9 months, so until june 2017. I love playing soccer and would like to join a team. In germany I played in the 3. Division of u18, and I have had the oppurtunity to play for a semi-professional team if I would stay in Germany. I am very fast and can play as a midfielder or attacker. I have time allover the week, also on weekends.